This is a 3000 year history of one of Europe's most fascinating and important peoples. Anne Elizabeth Redgate was born in Lancashire and educated at Bolton School Girls' Division and St. Anne's College, Oxford. She is Lecturer in History at the University of Newcastle where she teaches early medieval history. 2. Early History: The "Armenian" Environment c. 1165-590 BC. 3. Foreign Rule: Medes, Persians and Greeks, 590-190 BC. 4. Autonomy and Empires: Artaxias I to Tiridates I, 18 BC - 63 AD. 5. Arsacid Rule: Tiridates I - Tiridates IV, AD 66-AD 298/9. 6. The Establishment of Christianity and the End of the Monarchy, c. 300-c. 428. 7. Culture and Repression: Partitioned Armenia c. 428-c. 640. 8. Arab Rule and the Revival of Kingship, c. 640-884. 9. Kings and Migrants, 884 -c. 1071. 10. Armenians and Europe, to c. 1100 AD. 11. The Third Millennium 1071-1995. "A broadly conceived introduction to the political and social history of Armenia ... this is a valuable book which fills a serious gap. It deserves a wide circulation among those interested in the early history of the Armenian people and their Church." Ecclesiastical History. 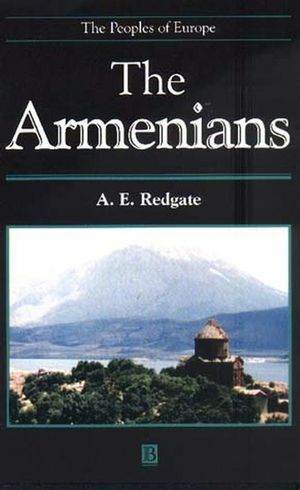 Provides a vivid history of the Armenian people, spanning 3000 years. Examines Armenian culture as it has survived in enclaves in other parts of the world. Considers Armenia today and its first experience of independence after a gap of 1000 years.